Some Idaho potato farmers are worried heavy wildfire smoke may have damaged their crops. Much of the worry centers on Eastern Idaho. 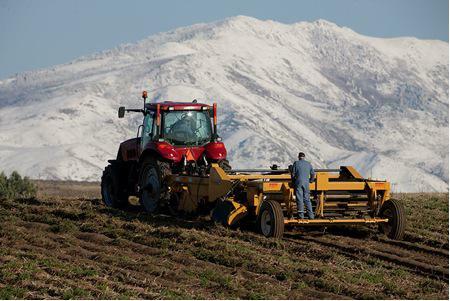 The Idaho State Journal reports growers in the Shelley and Idaho Falls area worry their yields and potato sizes may be down slightly. Farmers think the smoke may have acted like a buffer between the sun and the crops in their fields. Without enough sunlight, the potatoes may not have grown as large as they otherwise could have. Some farmers are leaving them in the ground a little longer and delaying harvest. Right now, the State Journal reports fresh-market prices aren't profitable for many growers. But farmers are optimistic prices will eventually rise. Elsewhere in the state, growers say they’re digging up exceptional spuds.